GOKPOP | Exclusive K-News in Malaysia & Singapore: S.M. Entertainment Global Audition II will be held in KL this coming November! S.M. Entertainment Global Audition II will be held in KL this coming November! Updates: S.M Global Audition Malaysia stop is confirmed to be held on 11 November 2017 (Saturday). Is time to flash your talent as S.M Entertainment announced their 2nd global audition and Malaysia is on the list! No age limitation, no application fees, you just need to submit your application. Easy peasy. 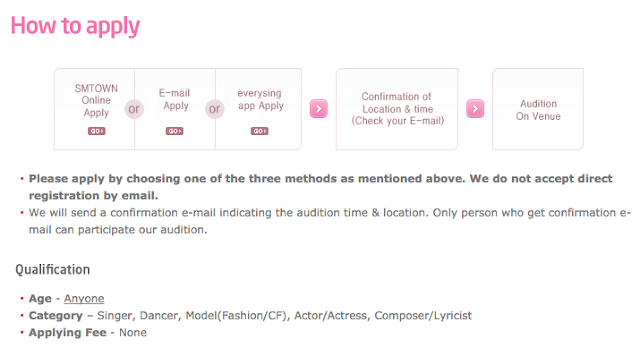 - You will receive a confirmation e-mail receipt with the audition time and place. So please check your e-mail for your schedule date and time. Is time to prepare yourself and showcase your talent, who knows you might be the next f(x), EXO, DBSK, Super Junior, Red Velvet, BoA, SHINee, KangTa, NCT and more outstanding Korean artists under S.M Entertainment. Fighting! 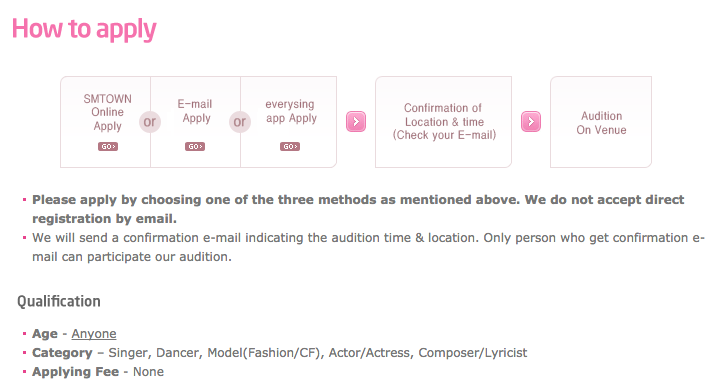 Check out S.M Audition Official Website for more info. Thanks for sharing this type of informative posts. It is very Helpful for me.